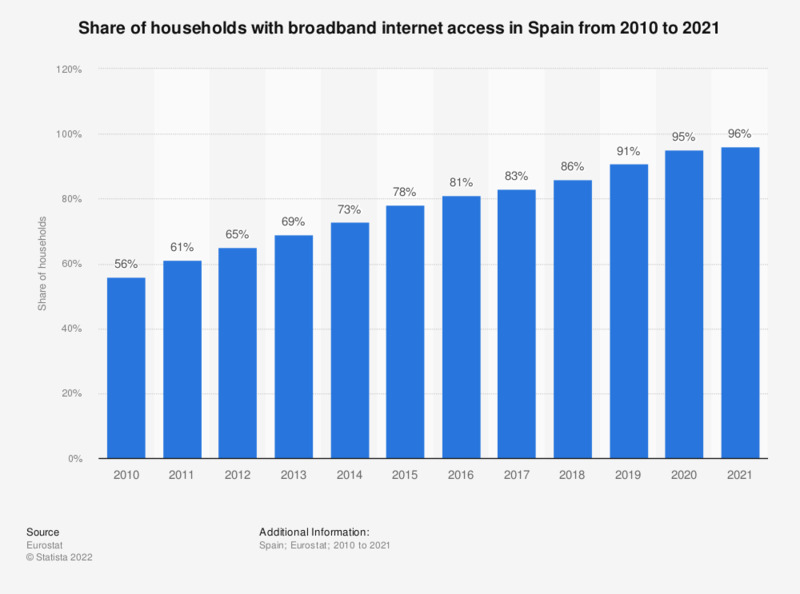 This statistic shows the development of the share of households in Spain connected to the internet via broadband connection from 2005 to 2017. While in 2005, 21 percent of households had access to the internet via broadband, the share increased to 83 percent in 2017. The statistic considers households with at least one member aged between 16 and 74 years. Both stationary and mobile broadband connections are counted.